Today, I have no choice but to face the question I have long dreaded to ask myself – and that is whether I will think of myself first before I think of my city, before I think of my country. I have resolved that question last April 2009 – Easter Sunday which symbolizes a new beginning. My calling is to start a new beginning for Bacolod. A beginning that will prove to the world that our city can afford to chose its leaders conscientiously, that our leaders can present themselves to the people without spending hundreds of millions to acquire a seat of power, that our leaders can be of public service without buying votes, that our people can actually demand for a transparent and accountable, responsive and humane governance from its chosen leaders. Life – I have always believed – is about choice. Every day we are faced with choices, some minor ones like what to eat for dinner or what movie to watch. And some are major ones, like getting married or choosing a career. Most of the time, we are the ones enjoying or suffering the consequences of the choices we make. For instance, the choice of a candidate is not as easy as our choice of what food to eat, unfortunately some of us have no choice but to choose what is available. Yet the choices we make every election not only tells of the kind of persons we are, but also speaks of the kind of leaders we have, and about the kind of city we will eventually see. While we complain about the kind of leaders we have, we should also realized that they are simply but a product of our choices. As the day of reckoning approaches – I am compelled to make that choice. Last week in Malaysia, during the Asia-Pacific Young Global Leaders Summit were I represented the Philippines along with several other top Filipino leaders chosen by Asia Society Foundation – I cannot help but share as a leadership story – the political landscape of Bacolod City and Negros Occidental. I began by saying that our province used to be the Sugar Capital of Asia. So the economy was mainly controlled by the landlords and the wealthy class. Now in the 21st century, when information controls the global economy – I realized that our city resist change. 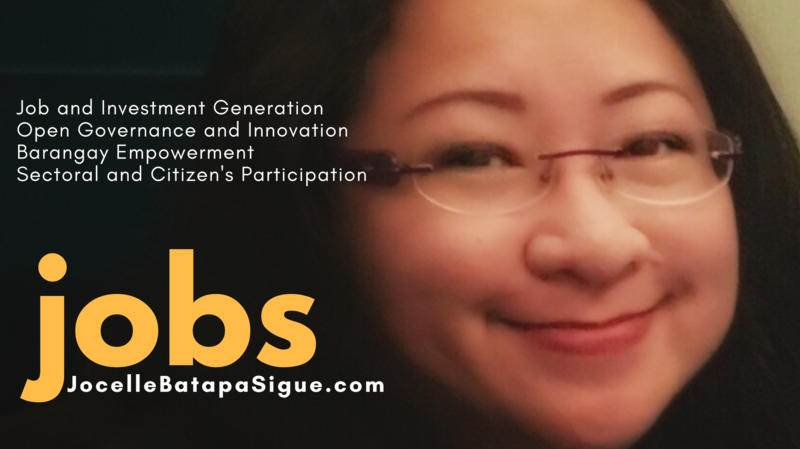 I realized that Bacolod has not really developed young leaders who were essentially molded under the concepts of the Information Age – to be responsible for the future of our community. As I sat in one room with a lady astronaut, a renowned film director and an Olympic gymnast from India, CEO’s of big corporations from Asia and the US, big names in the media, arts, science, and human rights activism from China, Indonesia, Burma, Nepal, Australia and many other countries last week – I had these strange feeling of awe and sadness that most of them where younger than I am. At age 37, I felt I had not accomplished anything compared to all these young leaders. At one point – I felt I was too parochial in my thoughts to just think of Bacolod and not look at Asia, the Asia-Pacific region, or the world. Then I told myself – I am proud of what I am of what I have become no matter how small I have achieved. On the last day of the summit, I stood up once again to say – that fighting corruption, ensuring the survival of this planet, promoting corporate social responsibility and the many other missions that we all want to accomplish as young leaders – oftentimes need to be an INSIDE JOB. I am proud to be a young Filipino politician – doing what little I can from the inside to change the system in my own little way. As my fellow Asia 21 young leader, and now CNN Global Hero – Efren Penaflorida say – there is a hero in each of us. As President Barack Obama believes – it is up to us to decide whether we will continue to believe in the politics of hypocrisy and cynicism or this time – believe in the politics of hope and change. BACOLOD HAS NO TIME TO WASTE. We need to address squarely the global challenges and demands of the 21st century with timely, relevant and responsive solutions and strategies to ensure that our city reach her full potential. WE WILL SOON FACE THE CONSEQUENCES OF OUR CHOICES. As early as now, we want you to know that YOU HAVE A CHOICE – between repetitious political promises couched in motherhood statements or unsustainable projects and political rewards of minimal impact OR relevant and realistic solutions with immediate and long-term effects studied and prepared by you – as stakeholders yourselves for the last six years. The big question is – IS BACOLOD READY FOR A NEW BRAND OF LEADERSHIP? Is there a room in this city for the NEXT GENERATION OF LEADERS who adhere to principle and program-based governance rather than personality and money-based politics? To the People of Bacolod , WE SHARE WITH YOU OUR BLUEPRINT FOR THE FUTURE OF BACOLOD IN THE INFORMATION AGE. If you want it – the decision to MAKE IT HAPPEN is IN YOUR HANDS. UNESCAP cites participation by both men and women as a key cornerstone of good governance. Participation could be either direct or through legitimate intermediate institutions or representatives. Participation needs to be informed and organized. OUR VISION IS A Bacolod that is characterized by a self-sufficient local economy, humane and dynamic leadership, transparent, accountable, participatory and responsive governance, and up-to-date sustainable strategies and approaches that contribute to the evolution of one of Bacolod as one most ideal cities of the 21st century. If you want to know more about these programs, call (034) 7096135 or email attyjebs@gmail.com today and HELP SHAPE BACOLOD’S FUTURE. BE A CHANGEMAKER!